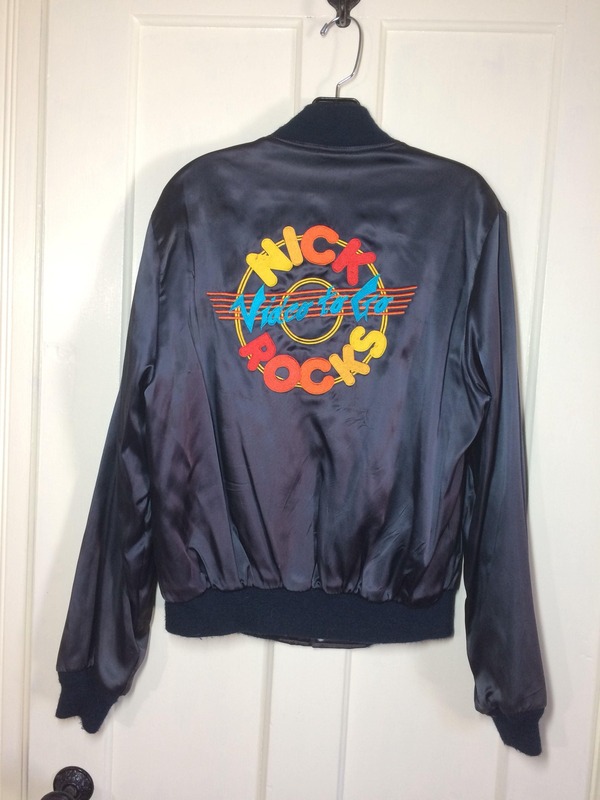 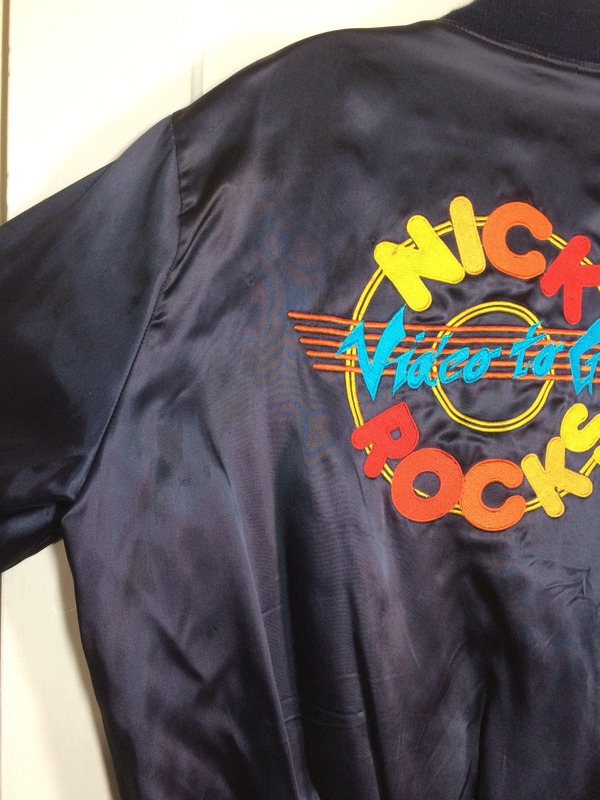 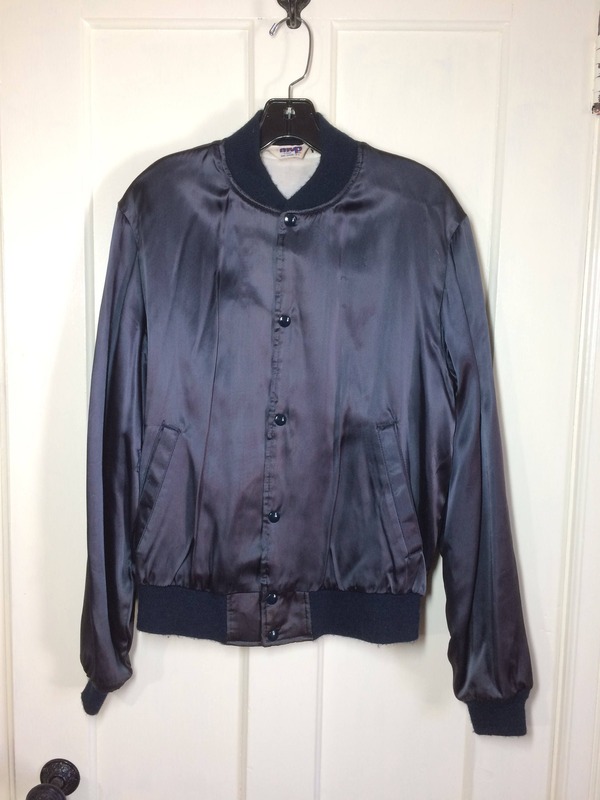 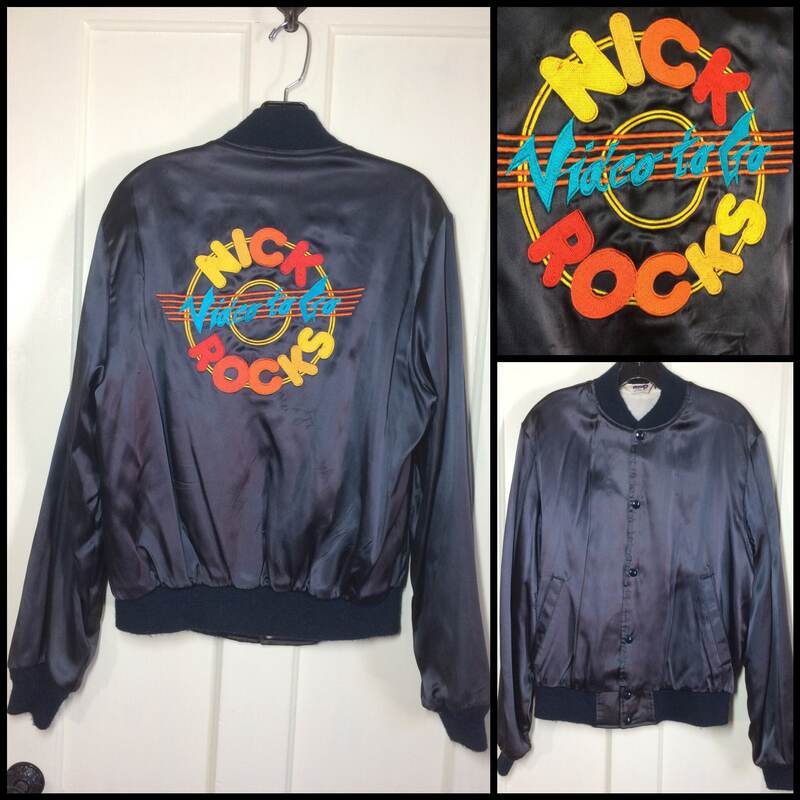 Here's a dark blue satin jacket from the 1970's with embroidery on the back. 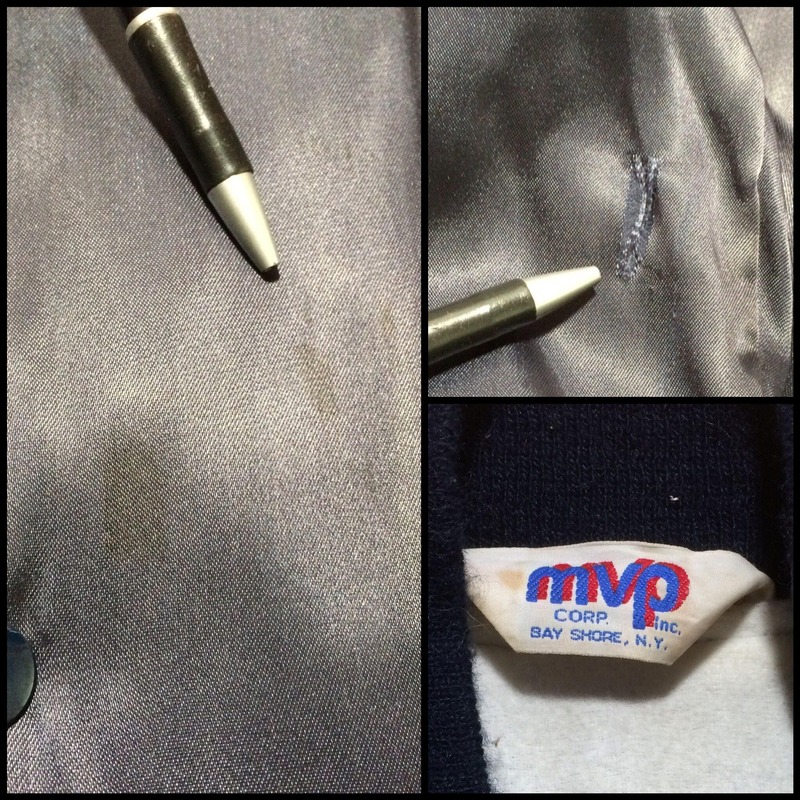 There's some spots toward the bottom in front, dirt on the sleeves, a small spot on the "N" in the embroidery, some spots in back on the upper left side and a 1" tear in the right sleeve, see photos. 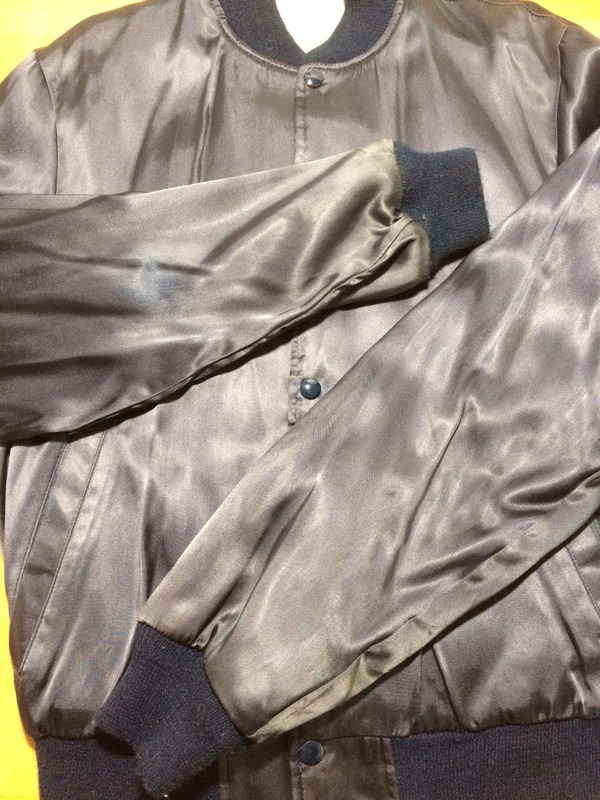 It's in as-is, very used condition that's still wearable.